This year the Bishops’ High School recorded a 100% pass rate in at least five subjects at the Caribbean Secondary Education Certificate (CSEC) exams, including English and Mathematics, but an overall pass rate of 94.06% has shifted the administration’s focus on improving the areas of English B and Additional Math. The school also achieved a pass rate of 99.02% at the Caribbean Advanced Proficiency Examination (CAPE). Principal Winifred Ellis, during an interview with Stabroek News on Monday, said that the school has been performing consistently over the years, though she acknowledged that last year’s CSEC pass rate was a little higher. Out of the 28 CSEC subjects that were available, 100% passes were produced in 19 subject areas, including Religious Education, the newest added subject, Ellis related. The Principal noted that there was a decline in performance in English B and Additional Math, which caused “a little shake” in the performance rates. Calling the decline “disturbing,” the head teacher said that the school has since developed an action plan to ensure that there are improvements in those areas going forward. For CAPE, Ellis said that there were 100% passes in 33 out of 37 subjects written. The areas where students fell short were Pure Math Unit 2, Financial Services, Literatures in English and Integrated Math. Commenting on rumours of a “subject cap,” Ellis denounced the claims, stating instead that while the school does not limit its students, its focus is on paving the avenue for them to access higher education. “Our emphasis at Bishops’ is really not to push 20-something subjects. Our emphasis is really that every child must be able to perform remarkably and must be able to access the doors of a tertiary institution. Our real vision is to ensure that each child is able to matriculate and to get into a tertiary institution. There is no cap but still, in our emphasis, we don’t push them to write 20 subjects,” Ellis said. 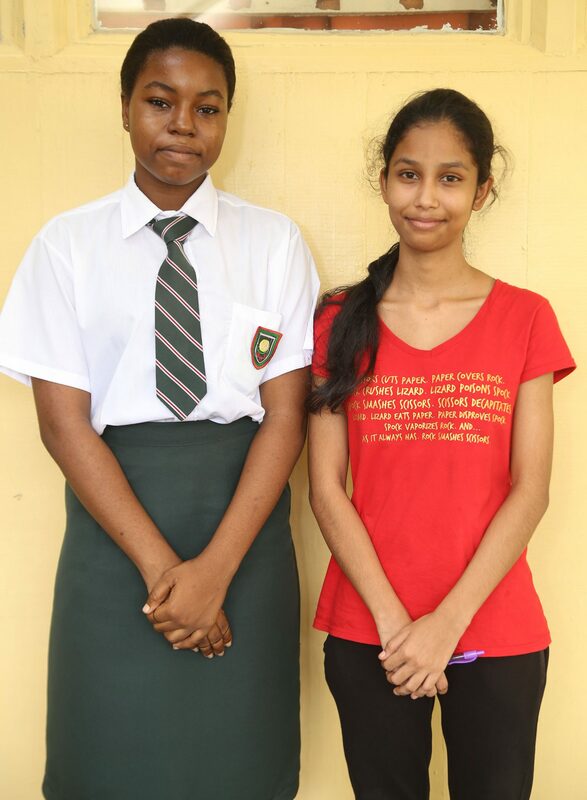 Meanwhile, the school’s top CSEC and CAPE performers, Sarah Grannum and Carissa Kissoon, are on paths to pursuing careers in Law and Biochemistry, respectively. Grannum, a student of the Arts stream, is Bishops’ top CSEC performer this year, having secured 11 Grade ones, two Grade 2s, and one Grade 3. Grannum is now pursuing an Associate’s Degree in Law at the sixth form level of the school. Despite her good grades, the 16-year-old described the exams as challenging, and said she felt she had not been well prepared as she could have done better. “It was the small things,” she stated, explaining that she became anxious in the lead up to the exams if she was unable to answer any questions. “But I am very grateful for my results; my help comes from the Lord and honestly, God really came through for me in that aspect and I’m very grateful,” Grannum added. Grannum’s biggest challenge, she said, was prioritising, as juggling extra lessons was time consuming. And so while she “tried to participate in things as much as possible,” her greatest challenge was learning to create balance. “…Because you didn’t want to give too much into one subject but then everything demanded so much attention. You had to manage your time well and give due attention to every subject,” she stated. 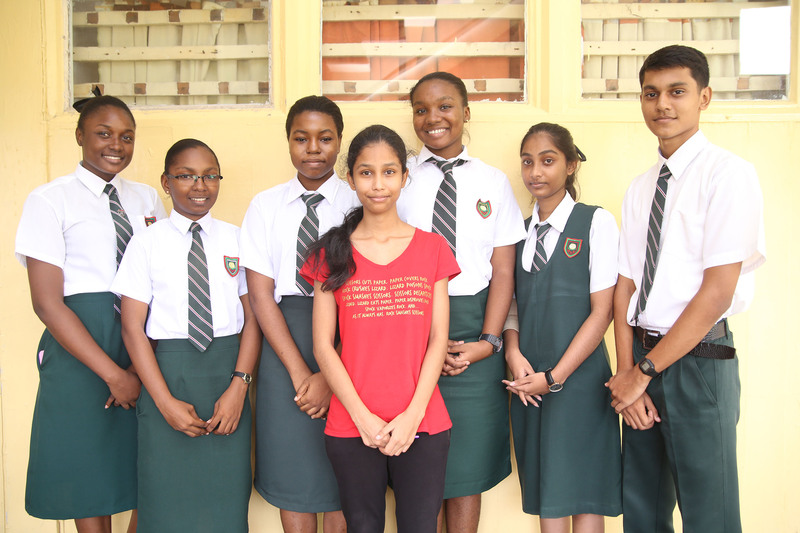 Kissoon gained six Grade 1s (in Physics, Biology, Chemistry, Pure Math, Applied Math units 1 and 2) and one Grade Two (Caribbean Studies) at this year’s CAPE. The second year was a lot more challenging, she related, but added that she was able to manage it with the help of a study timetable. Most days, lessons started as early as 6.30 am, while the latest ran to 6 pm. With high school behind her, Kissoon’s heart is set on studying Biochemistry, but while her application to a university overseas is pending, she will be spending the next year as a teaching assistant at Bishops’, helping to teach Pure Math. Besides that, Kissoon, who pursues art as a hobby (in the footsteps of her father, who is an artist), related that some of her free time in the interim will be spent illustrating a book being authored by her aunt. She took the time to thank her parents for the sacrifices that they made to aid in her success, as well as her teachers. “I’d like to thank all my teachers, especially when it comes to Bio, we had Ms Harris. She wasn’t only there for us academically, but she was there every time something was wrong and we were stressed out, she was always there to guide us and say we can do it. Even if you think you can’t, she knows that you can and she encourages you as well,” Kissoon stated. Of notable mention are Bishops’ other top CSEC performers: Khea Archer, who secured 10 Grade Ones, three Grade Twos and one Grade Three; Aliyah Baksh, who gained 10 Grade Ones and one Grade Two; Sarah Bowman, who secured 10 Grade One passes and one Grade Two; Shennelle Ellis, who attained six Grade Ones, five Grade Twos and four Grade Threes; and Nicholas Jordan, who gained eight Grade Ones and four Grade Two passes.